Gurpreet Singh Sandhu wins golden glove while Corominas retains golden boot. A look back at all the accolades awarded post the ISL finals. The cash-rich, glamour filled league of Indian football is over. It had some surprises, improved in quality year-on-year and attracted people in big numbers to the game. Ferran Corominas was on fire yet again, while the Bengaluru wall, Gurpreet Singh Sandhu, showed his quality in between the sticks. Kerala Blasters yet again produced quality youngsters while Mumbai’s summer signing dazzled with his passing ability. 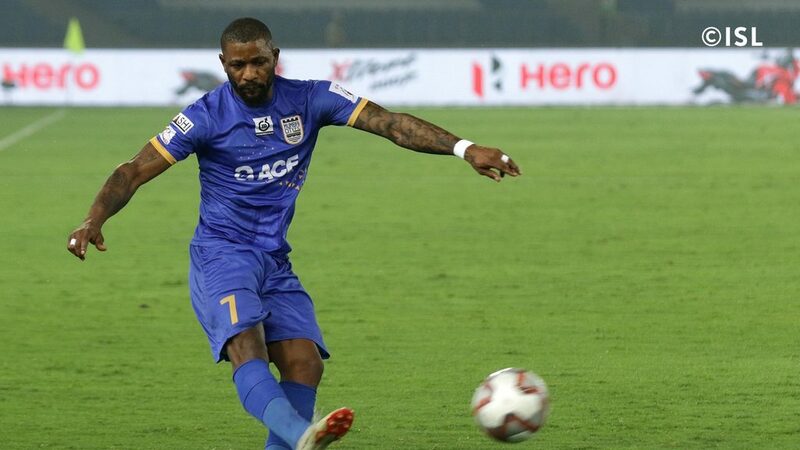 Arnold Issoko was only signed in the summer and he was brought in by the Mumbai City FC hierarchy to slot him seamlessly into the first team. And that is what he did. He was their main attacking threat, with everything good going forward for Mumbai City FC going through him. He formed an instrumental partnership with Moudo Sougou, one which helped the Islanders qualify for the Semifinals of the ISL. Issoko ended the campaign with 8 assists to add to his 3 goals, with his contributions directly leading to 38% of Mumbai City FCs goals this season. Issoko was one of the first names on the Mumbai City FC team sheet and was rightfully awarded the DHL Winning Pass of the Season. Gurpreet Singh Sandhu was widely considered as the best goalkeeper in the Hero Indian Super League this season. He was the first name in Bengaluru FCs defence and an important cog in coach Carles Cuadrat system. Sandhu showed cat like reflexes and incredible reach, putting in a string of match winning performances to cement his position as the best goalkeeper in India right now. Sandhu maintained an impressive 96.32 minutes per goal ratio, keeping 7 clean sheets in 20 games, including the all important finals of the Indian Super League. Sandhu was a top shot stopper, was quick to transition his team from defense to attack and was the rightful winner of the Xiaomi Golden Glove. 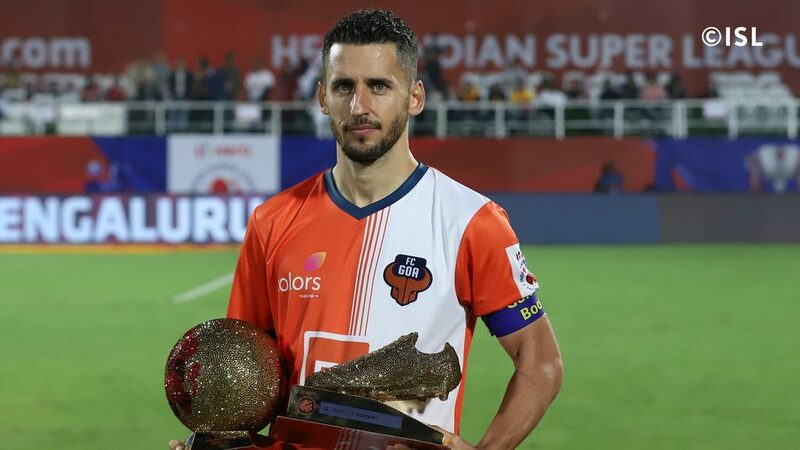 Admittedly, FC Goa are a free flowing side, but when you maintain a goal scoring ratio of 0.8 goals/game and provide 7 assists, second only to Arnold Issoko, you are bound to be right up there for the player of the season. With his 16 goals, Ferran Corominas comfortably won the Golden Boot, outscoring the second highest goalscorer by 4 goals. For a league consisting of just 10 teams, that is a huge difference between the first and the second, showcasing the qualities of the Spanish superstar. On top of that, Corominas managed 7 assists, second only to Mumbai City FCs Arnold Issoko, showing just how important he has been for FC Goa. Corominas has been directly involved in 56% of all FC Goa goals this season, an insane number across the season. Thus, there was never a doubt that Corominas, who was the Golden Boot winner last season as well, was rightfully recognized as the Hero of the League as well. Add to that, Corominas has moved above Iain Hume to become the highest scoring player in ISL history, and he has only played in India for 2 years. When you score against your biggest rival, you are bound to get noticed. But when you are just 21 year old, you are bound to be recognized. Kerala Blasters had a shambolic season, but one of their main bright spot of the season was the form and performances of Sahal Abdul Samad. Sahal played with calmness and composure in the middle of the park, playing 17 times for the Malayali club. Sahal is calm on the ball, has a good burst of pace and has already caught the eye of Indian football faithfuls. 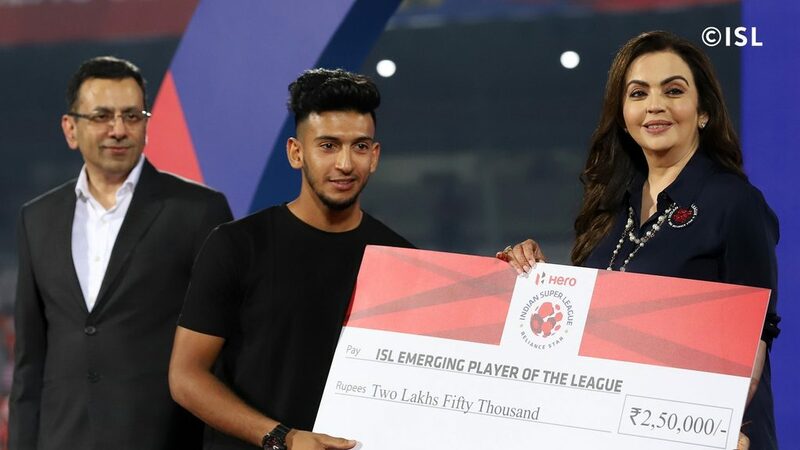 He has followed in the footsteps of Sandesh Jhingan and Lalruatthara, becoming the third Kerala Blasters player to win the ISL Emerging Player of the Season award.